I recently took a short 4 hour drive to Yosemite to celebrate my Mother’s 92nd birthday. 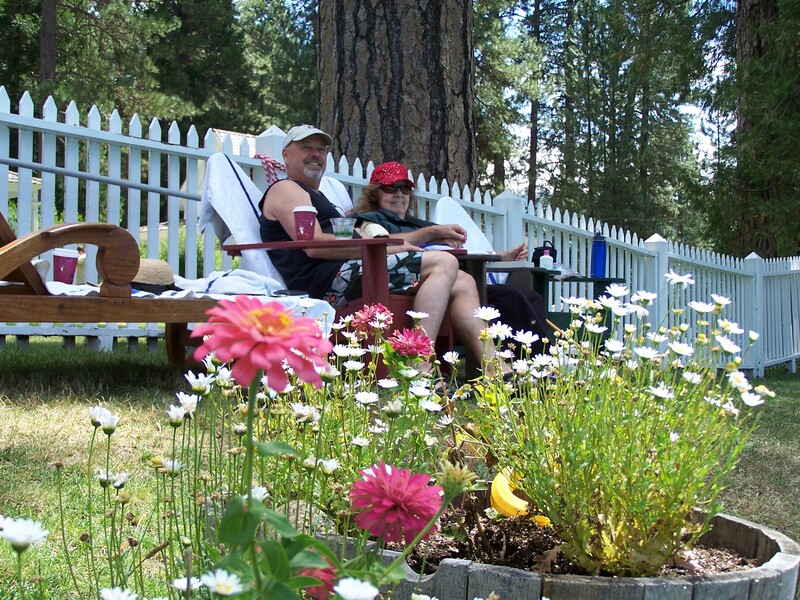 We chose to stay at the historic Wawona Hotel a few miles from the South entrance through Oakhurst (Hwy 41). I was able to enjoy 3 games of Golf at the Historic Wawona Golf Course, the first golf course built in the Sierras. Anybody up for golf at 4000 ft.? 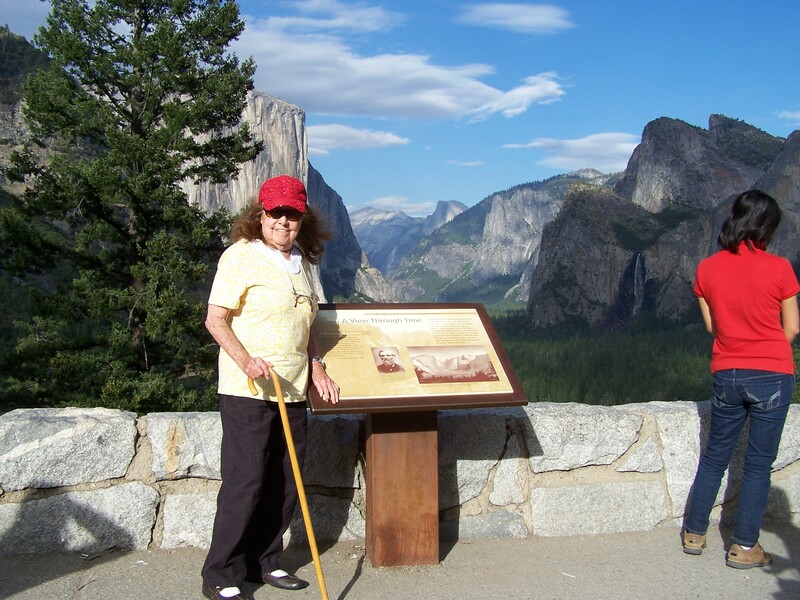 This is a picture of my Mother enjoying the spectacular view of the Yosemite Valley. This beautiful National Park is a favorite of my family’s because my Grandmother, Hazel Dorothy Clark, had a cousin, Galen Clark, who in 1863 traveled from his cabin in Yosemite to Washington D.C. to ask President Lincoln to save the Giant Sequoias from being logged. Because of this famous journey to Washington, our great great cousin saved the Mariposa Grove from extinction and Galen Clark was given the title of “First Guardian of Yosemite”. There is a book written by Shirley Sargent documenting Galen Clark’s life. We are very proud to continue this consciousness, generation to generation, of being aware of the greatness of our fellow earth inhabitants and respecting their presence on this planet. Like the native people, I was taught to respect all forms on this planet, because we are in relationship with everything. This leads into the next post on “Conscious Listening”/”What is your body telling you”?